When you’ve spent your entire life working, there comes a point where you start to contemplate who you will leave the products of your hard earned work to. Naturally, you start looking into drafting a will that will detail who you want to leave your most prized possessions to. But, what about those things that you cannot leave in your will. 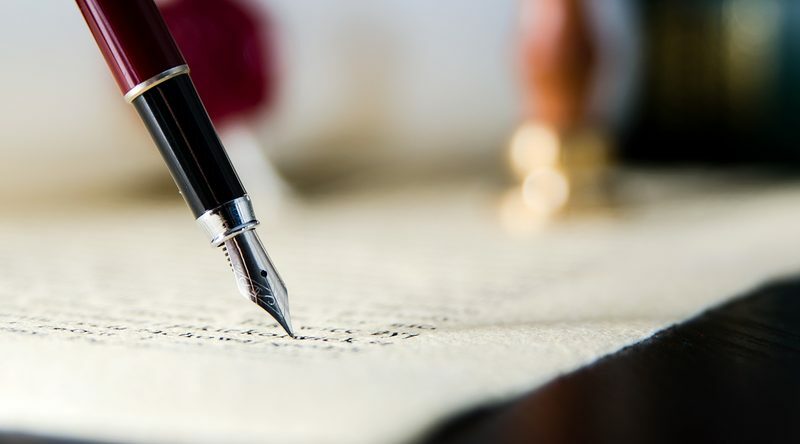 Did you know that under Missouri law there is an exhaustive list of things that you can’t do with a will? This article will lay out what your Missouri will won’t protect and propose some alternatives for protecting your assets. Under a joint tenancy when one co-tenant passes away the surviving tenant(s) take full possession of the deceased tenant’s interest in the property. This process is known as the right of survivorship. Thus, willing away your interest in your property you own in joint tenancy would be ineffective. Although you cannot will away your interest in property held in joint tenancy, a joint tenancy within itself is a good way to protect your assets. If you were to take take a piece of solely owned property and alter it to a joint tenancy with a loved one your assets will be protected by the joint tenancy. The draw to this is that your new co-tenant will have equal possession of the property during your lifetime. Alternatively, in 1989 Missouri passed the Missouri Probate Transfer on Death Provision which allows you to deed assets to a beneficiary where that beneficiary only has rights to the assets upon the death of the owner. This alternative to joint tenancy allows owners full ownership of their property during their lifetime. Tenancy of the Entirety is similar to the Joint Tenancy but is limited to married persons. Like the joint tenancy, the tenancy of the entirety encompasses a right of survivorship. This means that at the death of one spouse the other spouse takes over the interest of the deceased spouse. Consequently, willing away property your hold in Tenancy of the Entirety would be ineffective. Although, a tenancy of the entirety may be severed by the written consent of both husband and wife, leaving your interest to another loved one might be complicated by Missouri marital laws. If your intent is to leave your interested in a marital property to loved one it is best to discuss your matter with a legal professional who practices in this area. A life insurance policy is a non-probatable asset that goes directly to your beneficiaries upon your passing away. As a result, a Missouri will does not have the power to protect life insurance policies. The life insurance policy is a contract between you and your insurer so there is nothing more you can do to protect the proceeds of your life insurance policy. The question of who you are going to leave your property to should not be taken lightly so you should discuss it with a licensed attorney. Schedule a free consultation with an experienced estate planning attorney at the Law Offices of Kenneth P. Carp today at 636-947-3600 or visit us online.